Bulging eyes, sticky toepads, incredible night vision and disposable body parts—welcome to a gecko’s world! Geckos are incredibly adaptable and have conquered habitats from balmy tropical beaches and lush rainforests to frigid mountain slopes and parched deserts. More than 1,200 species range from shadowy, nighttime hunters with bulging eyes and squawking voices to bold, nectar eaters that scamper around in daylight, adorned in neon colors. Come meet live geckos from around the world that re-create their natural environments in astonishing detail. Then explore interactives that allow you to experience gecko night vision, listen to gecko voices, try to spot camouflaged geckos, and build a custom gecko for various environments. 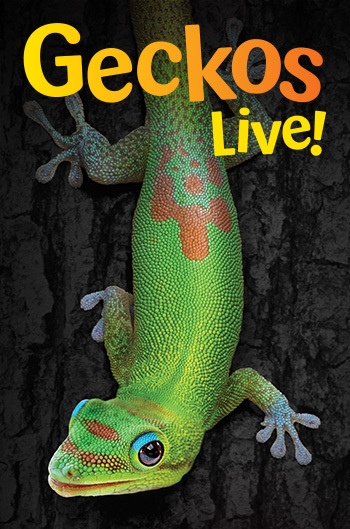 Geckos Live! is included in the price of general admission. Free to members.